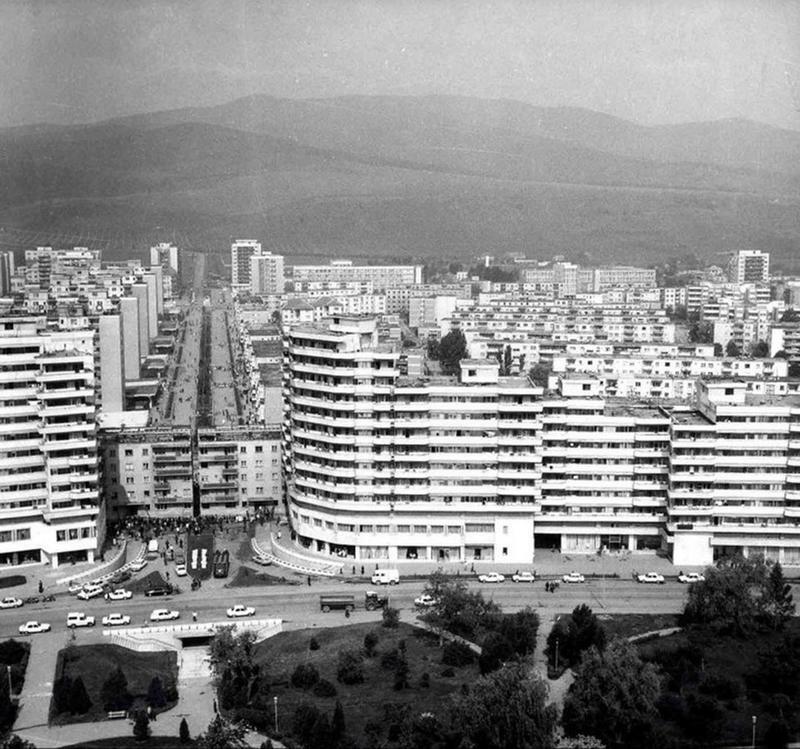 In Romania during the Communist Era, grand soviet-style apartment structures were built all over. 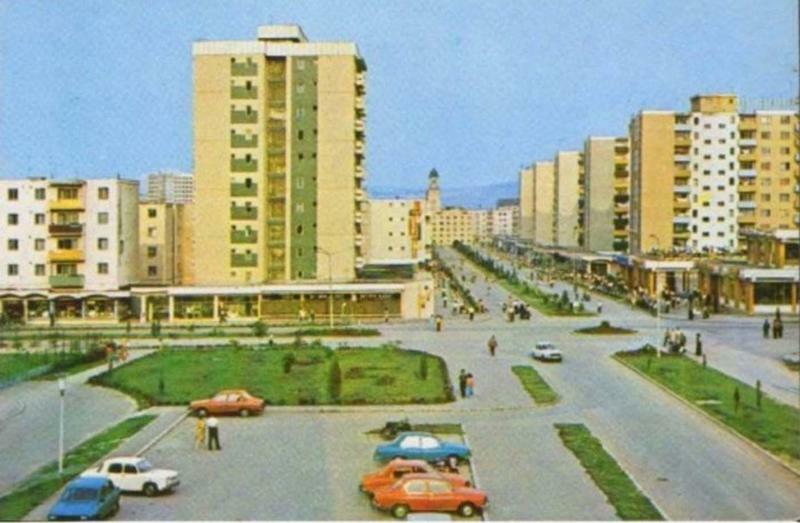 When they were constructing a majestic boulevard in the city of Alba Iulia, they noticed one of the buildings got in the way. They resolved to split it in two, moving one of the halves to the opposite side of the road. 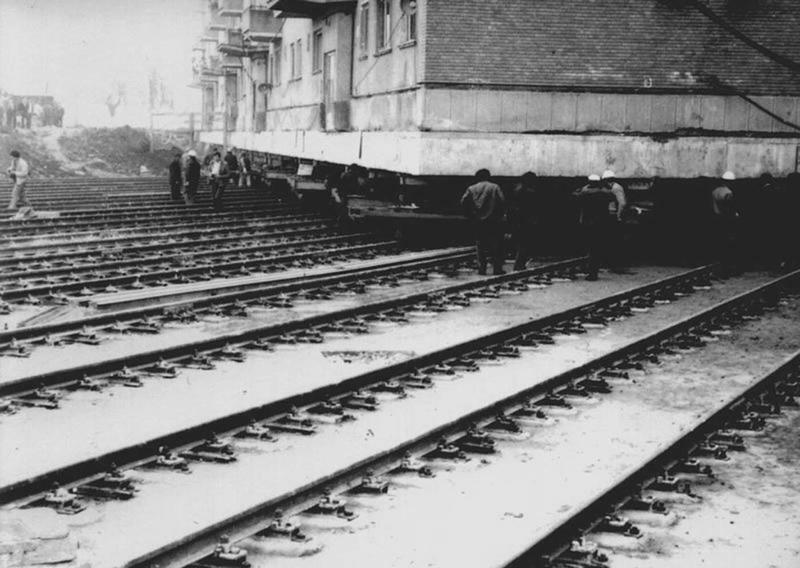 So they dug below the building, attached railways and wheels and then moved it 55 meters away (180 ft). It took 5 hours and 40 minutes to get it done and the 2 separated buildings were transferred apart on a 33 degree inclined angle. All this was accomplished while the residents were still inside the building. Most astonishing though, a woman decided to put a glass of water on top of the edge of her balcony and it didn’t spill a single drop. 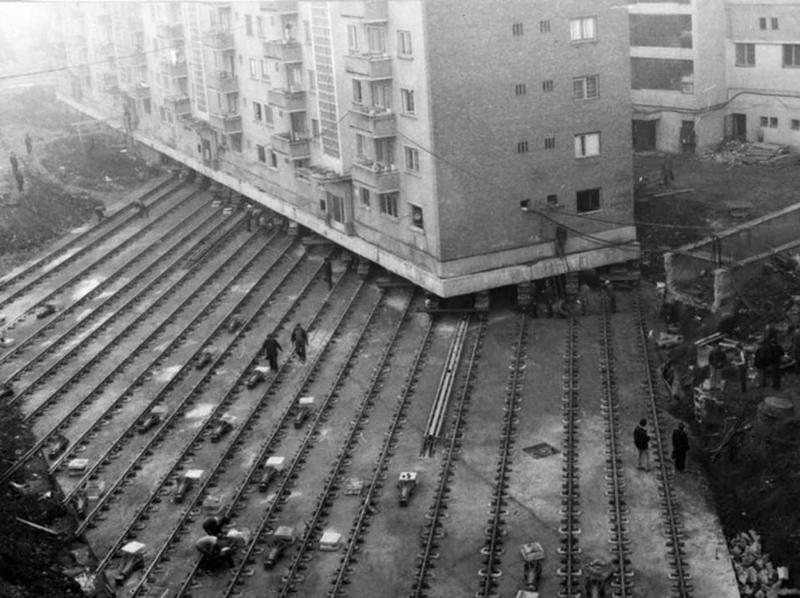 Moving an apartment structure in Communist Romania, 1987. 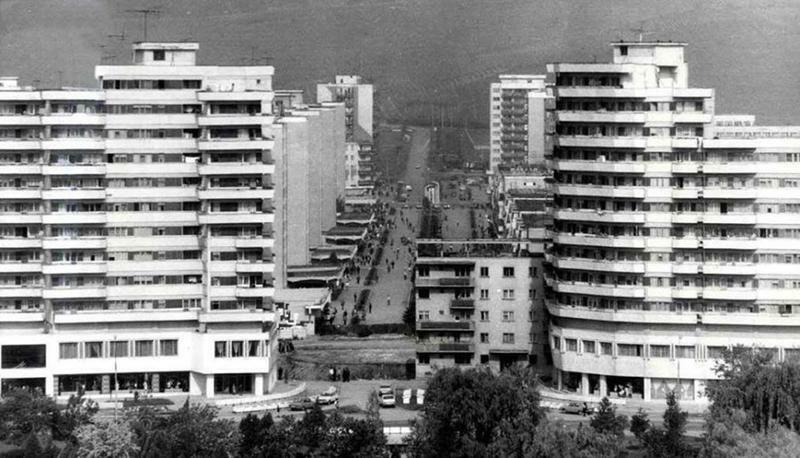 Ceausescu, the communist leader of Romania, was fond of changing streets. He would literally pass by cities, decide that this structure or that should be removed or demolished (he really didn’t like churches, for instance). The expense of replacing the building was cheaper than demolishing and reconstructing it from scratch. The engineers decided to separate the 7,600 ton structure in half. The picture shows one half of the building being relocated. Elevation of the whole structure is generally done by placing a transitory steel framework underneath the building to support it. A network of hydraulic jacks, attached under the framework then controlled by a unified jacking system, elevates the building off its foundation. A former version of low-technology method is utilizing building jacks called jackscrews which are manually turned. Wood beams called cribs are typically stacked into piles to hold up both the structure and the jacks as the building is lifted in increments. When the structure reaches its desired height, a flat bed truck or hydraulic dollies can now be placed under the steel framework in order to support the transfer to the final destination. Once in place, the building is lowered reversing the steps that were applied. 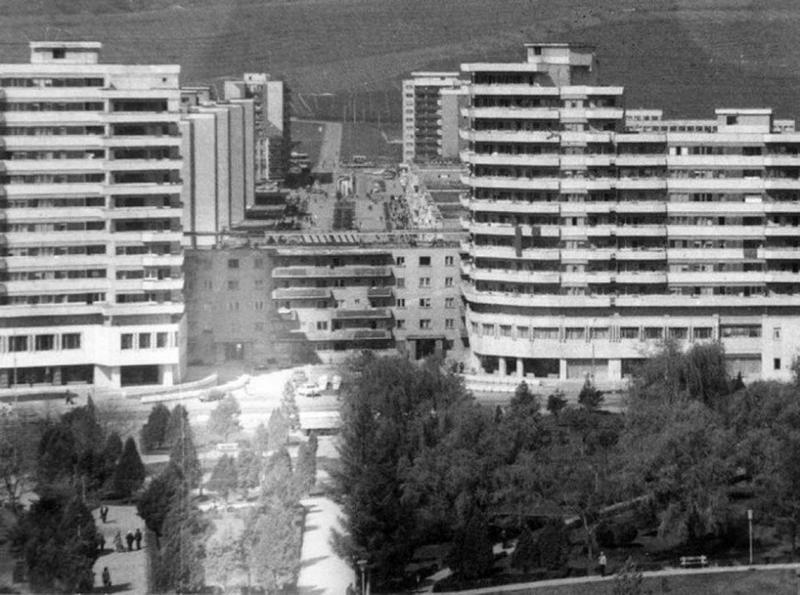 Systematization in Romania means a program of urban planning executed under Nicolae Ceaușescu’s communist regime. 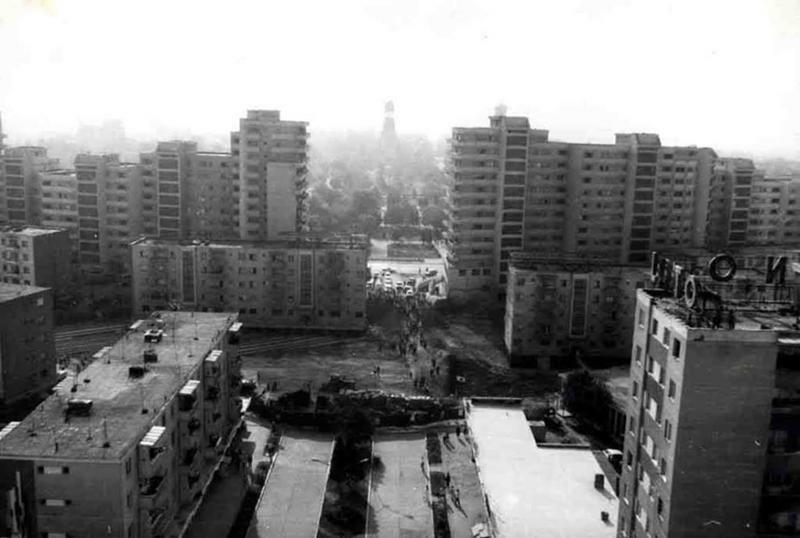 At the beginning of 1974, it consisted largely of the demolition and rehabilitation of the whole or part of these existing villages, towns, and cities, with the stated goal of making Romania a “multilaterally developed socialist society”. A series of hydraulic jacks placed under the framework and then controlled by a unified jacking system, which elevates the building off the foundation. A close-up photo of the process. 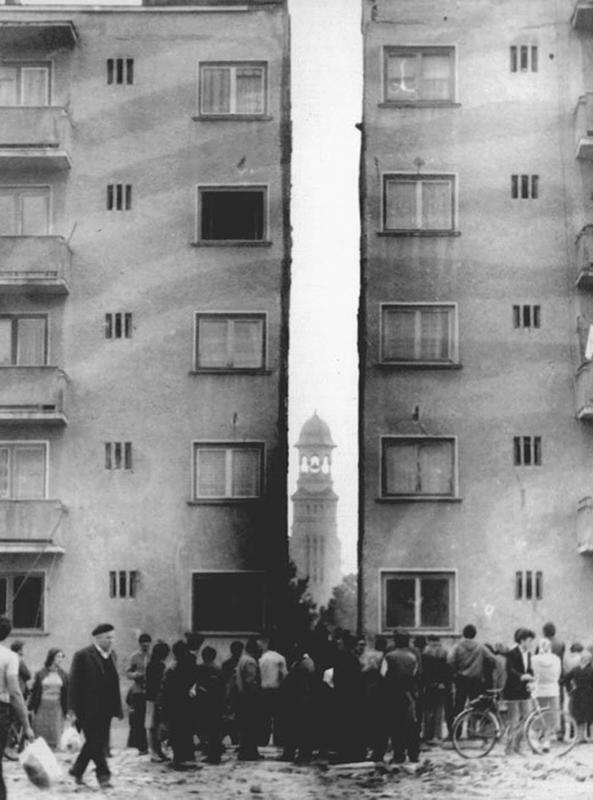 One half was positioned on the right side of the boulevard, while the other one on the left. 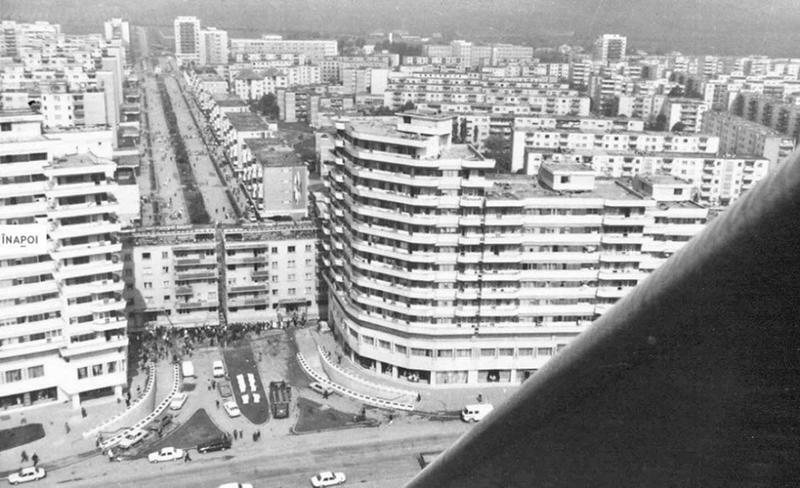 Photo after the boulevard was finished.